extra discomfort onto ninety-eight degree days. before, when grandpa taught me how to drive. in sunlight – and it felt like flight. 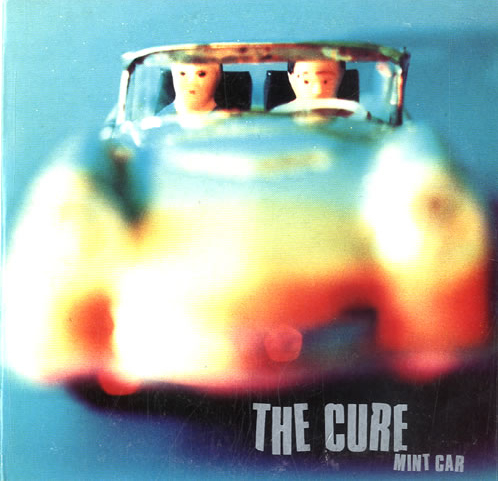 NOTE FROM THE AUTHOR: “Mint Car” is a song by The Cure, from their album Wild Mood Swings (1996). I was a huge fan of The Cure in my teens, and this was my favourite driving song in spring and summer. My grandfather bought my car for me, and his passion in life was about cars – he was a race car driver in his younger days, and a mechanic for most of his life. He died in a car accident in February 1999, and this poem is about the loss of a good man, a man who was more like my father than any other person, but it is also the love of driving he managed to pass on to me. 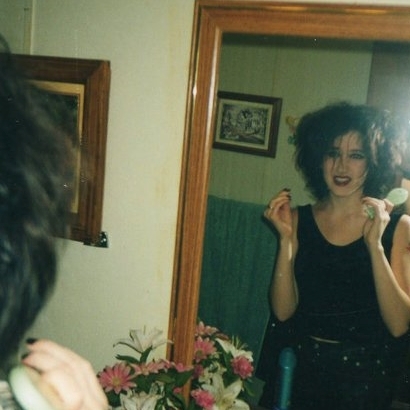 PHOTO: This photo is from the author’s younger, more gothic, years, circa 1999-2000, taken by one of the her oldest and dearest friends, who titled it “Smithing Katey’s Hair” (after Robert Smith from The Cure, of course).